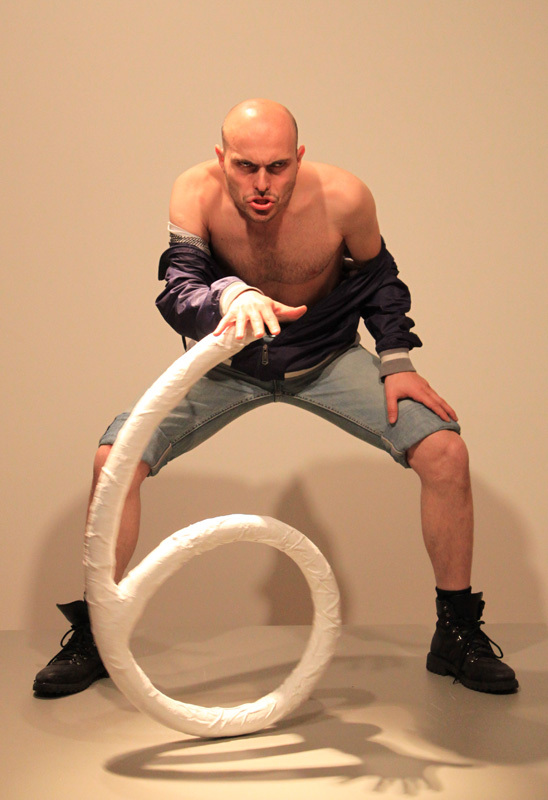 I-On is a performative exploration of the sculptures of Franz West. As early as the 1970s, the Viennese artist began creating adaptable objects, which he called “Paßstücke”, or “pieces that fit”. According to West, these portable, everyday objects, usually wrapped in gauze and plaster of Paris, do not become complete works of art until somebody actually does something with them. And that is exactly what Ivo Dimchev does. Dimchev becomes a spectator, an observer of the sculptures. In a wild, exuberant, stylistic mixture of dance, music and song, he reveals how his performative self adapts itself to the works of Franz West. I-On is the solo version of X-On, a performance with several actors, which premières in the fall.